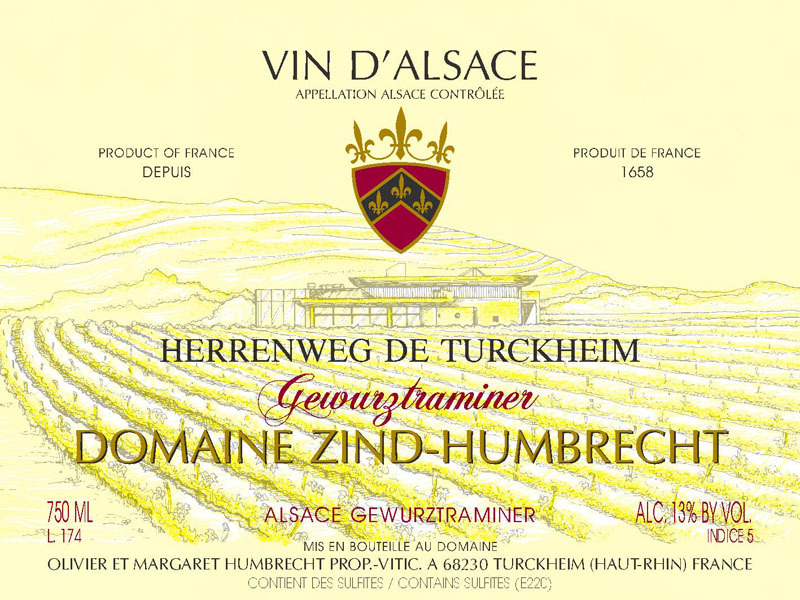 For once, being located in one the most precocious area of Alsace didn’t serve the gravelly Herrenweg vineyard. The flowering started early June and the vines were in the middle of flowering when the weather changed and became dramatically colder with some rain. The immediate effect, especially on the fragile Gewurztraminer, was a very bad fruit set and many flowers aborted and fell (coulure) or had no or just one pep provoking millerandage. The consequence was a reduced yield that made an extraordinary rich wine. Due to the richness, the fermentation stopped earlier and this wine kept a large amount residual sweetness. We are here very close to the Vendanges tardive style. 3/2012: there was mostly passerillage than botrytis, so the nose is very floral and expressive, showing intense exotic and rose aromas. The small yields prevent the flavours to be too simple and there is a nice overall typical varietal expression. Having stopped with a ‘lower’ alcohol’, the palate shows a nice delicacy and elegant sweetness. In keeping with the 2010 style, there is no extra weight in this wine. Of course, it is a typical ‘end of the meal’ wine, ideal with cheese or desserts.